The temperatures are warming up, the snow is melting, and the greens at the Belgrade Lakes Golf Club are starting to reappear. Before we know it, 152 golfers will be gearing up to play at the Annual Ending Hunger Golf Tournament, taking place on Thursday, May 16. With a full roster of foursomes, this year’s event will certainly go a long way in helping Maine’s credit unions Ending Hunger fundraising efforts. With a variety of sponsorship levels available to fill all budgets, spots have gone fast, but we are still looking for a few CUs and/or local businesses to serve as our event’s lunch sponsor. At an affordable rate of $1,350, lunch sponsors get great visibility at our event. Lunch sponsors receive exposure on the greens, a logo in the program, and a table for promotional items in the lunch area. Most important, sponsors support Maine’s credit unions signature social responsibility campaign to combat hunger in the state. 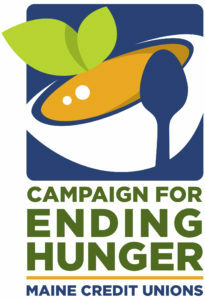 The annual tournament is the largest fundraiser for the Ending Hunger Campaign which raised $792,000 in 2018. A successful golf tournament in May can help us make 2019 total fundraising figures even higher. If you are interested in becoming a lunch sponsor, or if you know a local business who would like to get involved, please contact Jen Burke at the League at jburke@mainecul.org before April 19. Every dollar raised through sponsorships goes directly to the Maine Credit Unions Campaign for Ending Hunger.